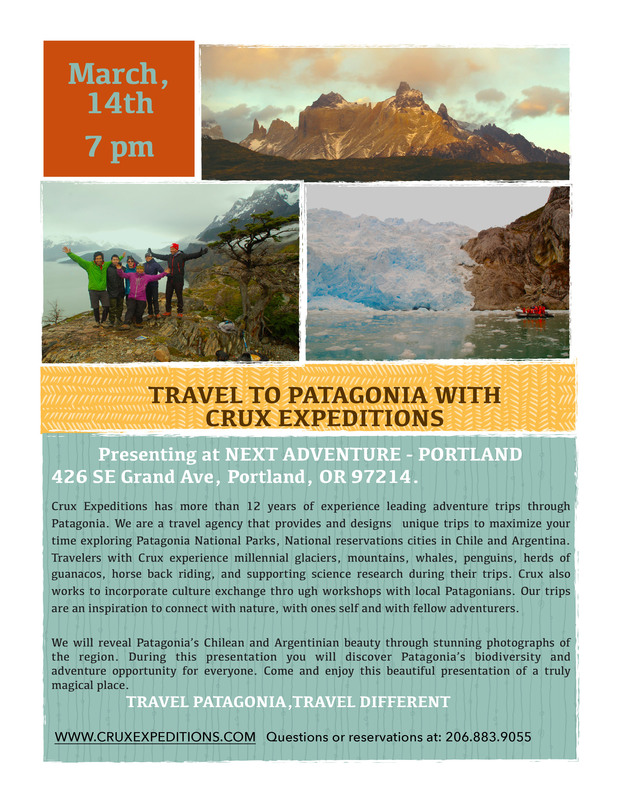 When: Tuesday, March 14th, 2017 at 7 p.m.
Evelyn Salinas, a native of Punta Arenas, Chile, has been leading adventure trips through Chilean Patagonia for more than 10 years. 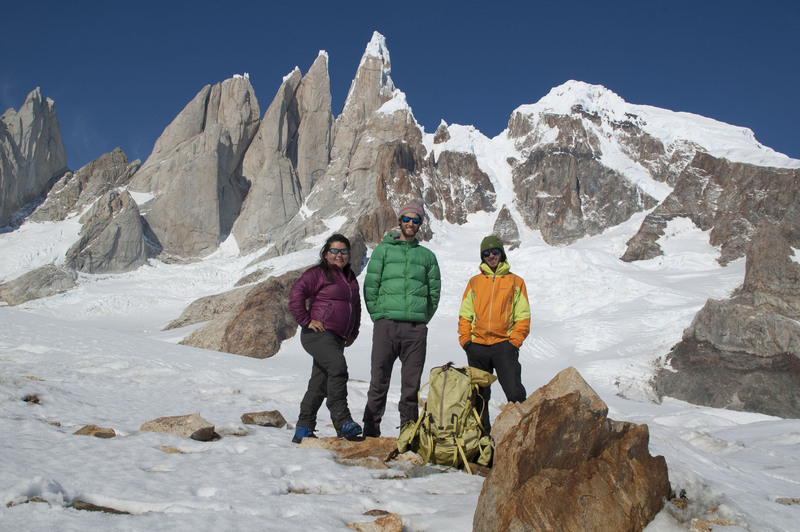 After hiking almost all the continents on earth and moving to Seattle, she founded Crux Expeditions, which offers unique trips to explore the Patagonia and its abundant vistas and wildlife, enjoying glaciers, mountains, whales, penguins, and herds of guanacos.Her trips are an inspiration to connect with nature, with one's self and with fellow adventurers. Evelyn will reveal Patagonia’s beauty through stunning photographs of the region. During this presentation, you will discover Patagonia’s biodiversity and adventure opportunities. Come and enjoy this beautiful presentation of a truly magical place.